WAGS is a 501(c)(3) organization and all contributions are tax-deductible. 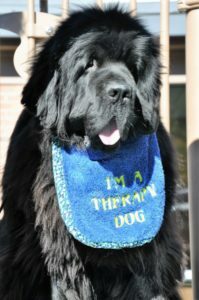 WAGS animal assisted therapy services are made possible due to the dedication of our volunteers and the generosity of donors. Every dollar enables us to provide Wonderful Animals Giving Support to individuals in need. We are forever grateful for your thoughtfulness and generosity. click the DONATE HERE. Thank you for your support! We would like to extend our appreciation and sympathy to the family and friends of Ms. Mary K Smith. She was a valued and faithful member of Wags who will be missed by all who knew her. The donations made in her memory and honor will help others follow in her footsteps in bringing joy to others. Community Support from our friends below.